Food preservatives have a sustained inhibitory effect on the growth of microorganisms whose metabolic substrates are spoilage. It is important that it suppresses the most corruptible effects in different situations, Especially under the conditions of sterilization is not sufficient has a sustained effect. The use of preservatives in food is limited, such usby drying, curing and some other physical methods is the most common methods.Special preservatives are organic acids such as acetic acid, oleate as a component of vegetable oil, mustard and other special essential oil components.Depending on the organism, various preservatives (iodoform, phenyl salicylate, aniline dyes or acridine dyes, etc.) may be used depending on the specific conditions. 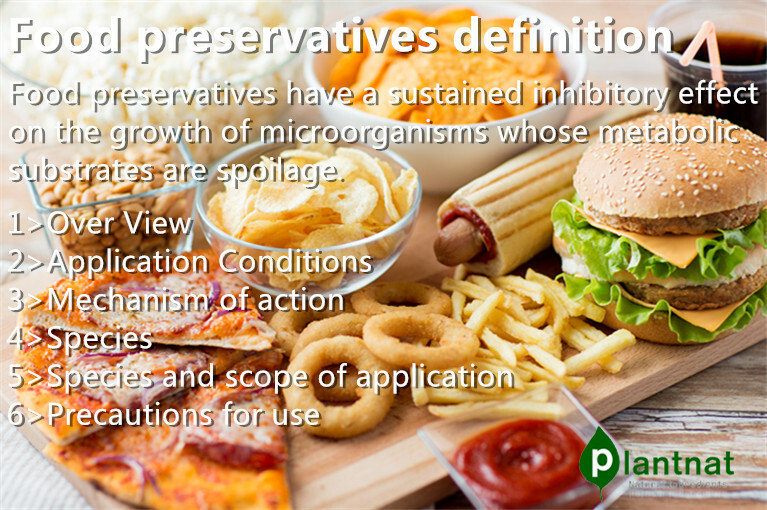 Food preservatives are agents that inhibit the spoilage of substances. That is, the growth of microorganisms that are substrates of the spoilage material has a sustained inhibitory effect. There are 50 species in the United States and about 40 species in Japan. Different fungicides have basically no bactericidal effect and only inhibit the growth of microorganisms. The toxicity is low and the flavor of the food is basically not damaged. Method is easy to grasp. Preservatives used in China are benzoic acid, sodium benzoate, sorbic acid, potassium sorbate, calcium propionate and other 30 species. 5> The price is reasonable, more convenient to use. make the microbial protein coagulation or denaturation, thereby interfering with their growth and reproduction. Preservatives on the microbial cell wall, cell membrane effect. It has an antimicrobial effect by breaking down or damaging cell walls or interfering with cell wall synthesis mechanisms, leading to the release of intracellular material or affecting membrane-based respiratory chain electron transport systems. Role in genetic material or genetic structure of the particles, thus affecting the replication of genetic material, transcription, protein translation. Role in the microbial system of enzymes, inhibition of enzyme activity, interfere with their normal metabolism. 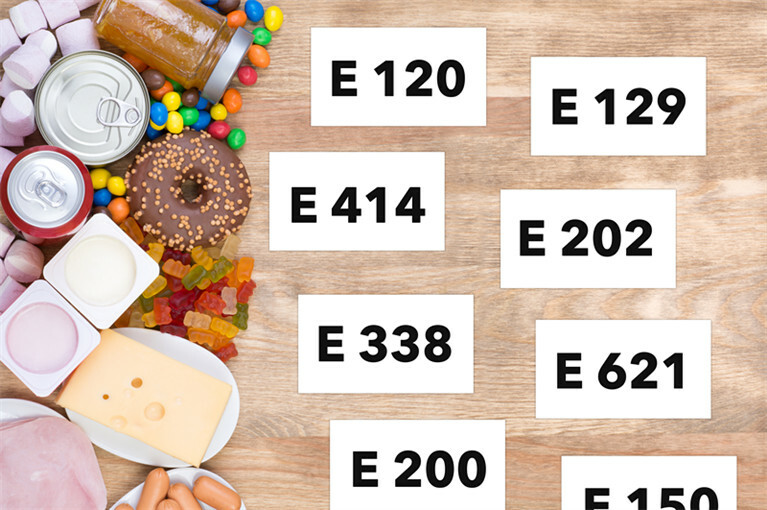 Food preservatives according to the role of fungicides and bacteriostats. The two are often not easy to distinguish because of the concentration, the role of time and the nature of microorganisms. According to the nature can be divided into organic chemical preservatives and inorganic chemical preservatives two categories. In addition to Nisin, a Streptococcus agalactiae, containing 34 amino acids peptide antibiotics. There are 28 varieties. Preservatives by source, with chemical preservatives and natural preservatives two categories. Chemical preservatives include benzoic acid, sorbic acid, etc., which mainly include sulfites and nitrites. Natural preservatives, usually extracted from the metabolites of animals, plants and microorganisms. 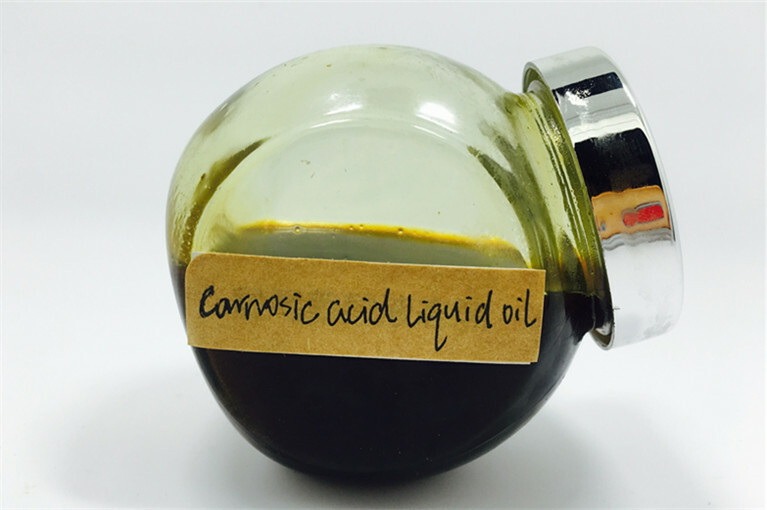 Rosmarinic acid and carnosic acid are substances extracted from leaves of rosemary plants and have a strong oxidizing and antibacterial effect. Often complexed with quercetin, used in meat products and other foods. Benzoic acid and salt: carbonated drinks, low-salt pickles, candied fruit, wine, wine, soft candy, soy sauce, vinegar, jam, fruit juice drinks, barrels of fruit and vegetable juices for the food industry. Potassium sorbate: In addition to the above, as well as fish, meat, eggs, poultry products, fresh fruits and vegetables, collagen casings, jelly, lactic acid bacteria drinks, cakes, stuffing, bread, moon cakes and so on. Dehydroacetate: Yuba, pickles, juice orange juice. Calcium propionate: raw wet noodles (noodles, wonton skin), bread, vinegar, soy sauce, cakes, soy foods. Sodium diacetate: all kinds of pickles, flour and dough. Sodium lactate: barbecue, ham, sausage, chicken and duck sauce products and other products. Streptococcus lactis: canned food, vegetable protein drinks, dairy products, meat products and so on. Natamycin: cheese, meat products, wine, fruit juice drinks, tea drinks and so on. Rosemary extract: Currently used food additives BHT, sodium benzoate and other side effects of human liver damage and so on, so looking for a healthy, non-toxic and efficient food additives meet the needs of contemporary life, and natural antioxidants not only have the above advantage. Many investgated show that rosemary extract not only has the function of ant-oxidant, but also has function to antibiotics. 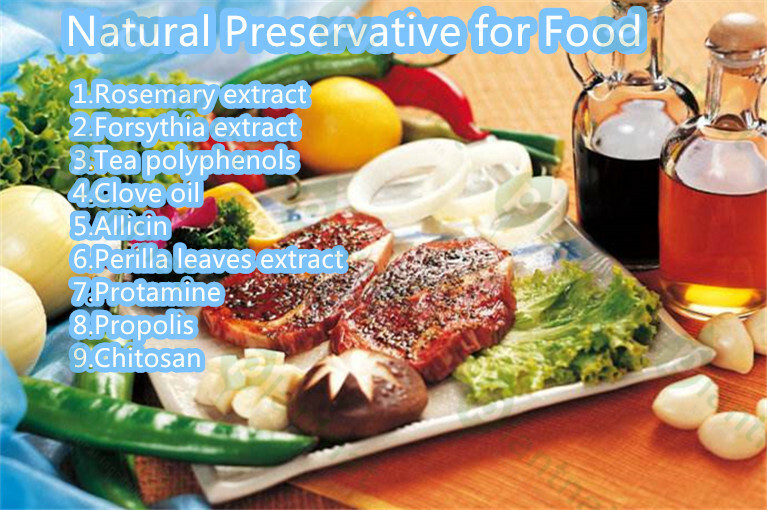 So it always used in oil and meat as a kind of natural food preservatives. Protamine: extracted from fish sperm cells, it has a good inhibitory effect on various types of bacilli in the body with a combination of ingredients to produce protein, complement the body of the desired protein, in the interview and condiments widely used. Propolis: As the name suggests and bees are inextricably linked, it is the material basis for bees to survive, he can activate immune factors, thereby enhancing the body’s immune system, the germs inhibit the role of killing, protect cells from abuse, we usually chew The sweet mouth there is this ingredient, there is a very good whitening effect. 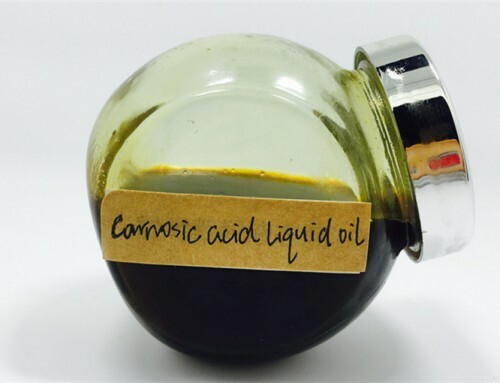 Chitosan: extracted from various shrimp and crab shell, is a polysaccharide substances, inhibit E. coli and other bacteria have a significant effect. 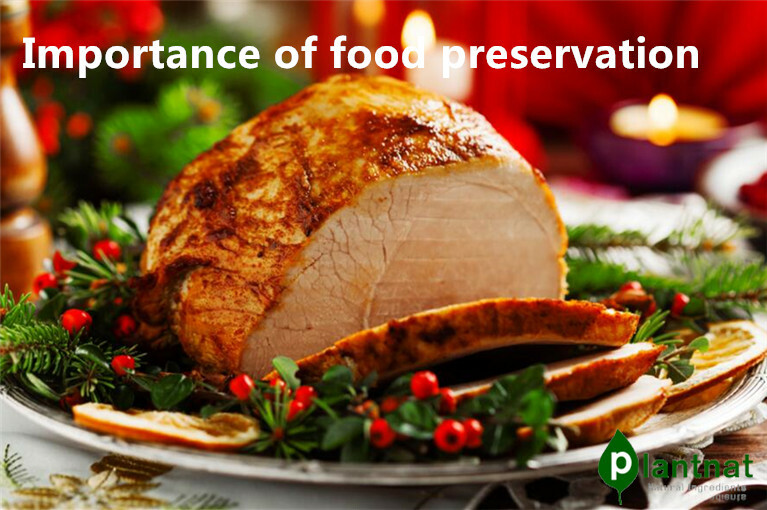 The effect of preservatives is not absolute. It only has the effect of prolonging the storage period within a certain limit for certain foods, and the preservative effect varies according to the pH of the environment. In addition, the preservatives must be used according to the added standard, Random abuse. 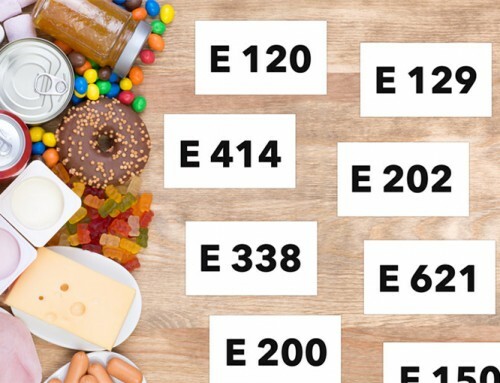 As with all kinds of food additives, preservatives must be strictly in accordance with China’s “Food Additives to use health standards,” the provisions must not exceed the standard. 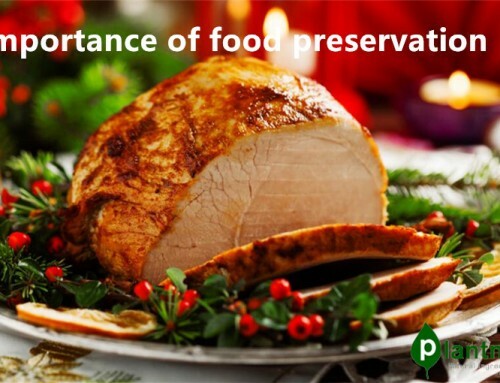 Preservatives have many problems in practical application. 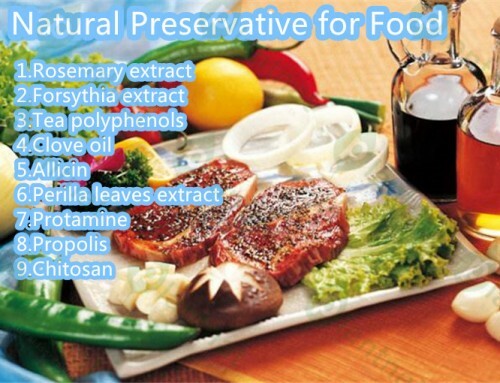 For example, preservative effect can not be achieved and the flavor and quality of food are affected. For example, when polyphenols are used as preservatives, the concentration is too high, which causes people to feel bitter and astringent. Make food color. 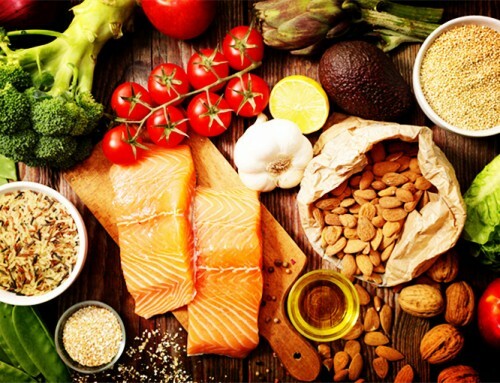 In the food production and processing process, due to the type, nature, scope of use, price and toxicity of preservatives under different circumstances, should pay attention to the following points before the rational use. Before adding preservatives, food should be completely sterilized, there should not be a large number of organisms exist, or the addition of preservatives will not play the desired effect. Such as potassium sorbate, not only will not play a preservative effect, but will become a breeding source of microbial nutrients. Should understand the various types of preservatives and toxicity of the use of safe use and use in accordance with the scope of the added. For example, sodium benzoate has been banned in some countries because of its high toxicity. China also strictly controls its use in soils, jams, pickles, canned foods and some wines. Should understand the effective use of various types of preservative environment, acidic preservatives can only be used in acidic environments have a strong anti-corrosion effect, but in neutral or alkaline environment but not much role, such as sorbic acid Potassium, sodium benzoate, etc . ; and ester preservatives in the paraben esters can also be used in the pH4 ─ 8 between, and the effect is not bad. Should be aware of various types of preservatives can inhibit the types of microorganisms, some preservatives have effects on the mold, and some yeast effect, only the good grasp of this feature of preservatives, you can prescribe the right medicine, the general formula Comprehensive anti-corrosion preservation of more, such as anti-corrosion Kang Hawk and mildew preservatives and other products. 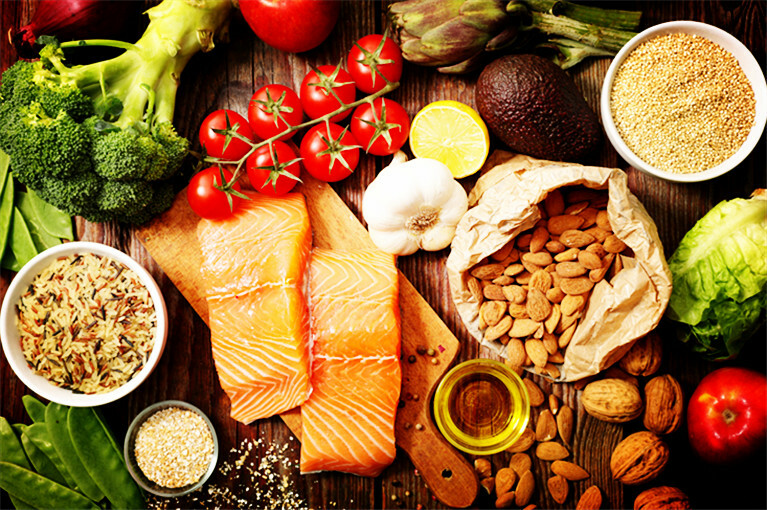 According to different types of food processing technology, should take into account the price and solubility of preservatives, as well as whether the impact on food flavor and other factors, based on their advantages and disadvantages, and then add flexibility to use.